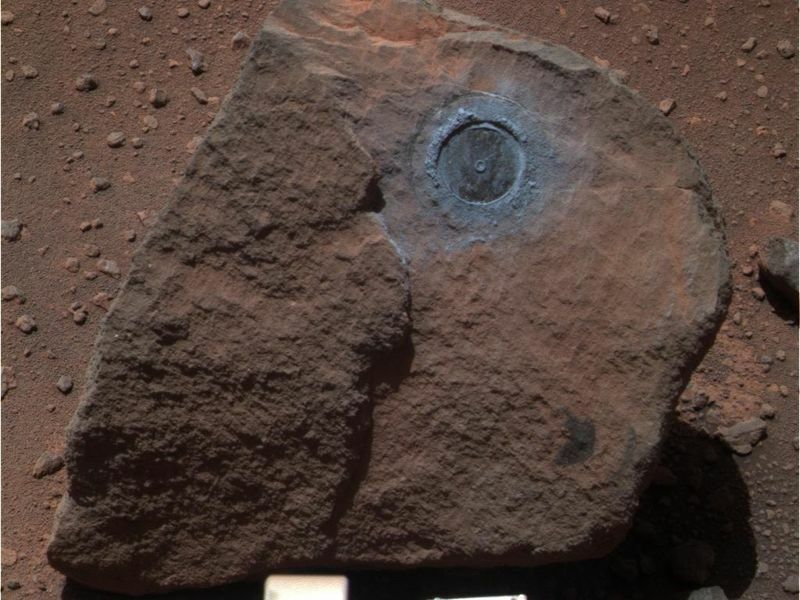 NASA's Mars Exploration Rover Opportunity examined a rock called "Marquette Island" from mid-November 2009 until mid-January 2010. Studies of texture and composition suggest that this rock, not much bigger than a basketball, originated deep inside the Martian crust. 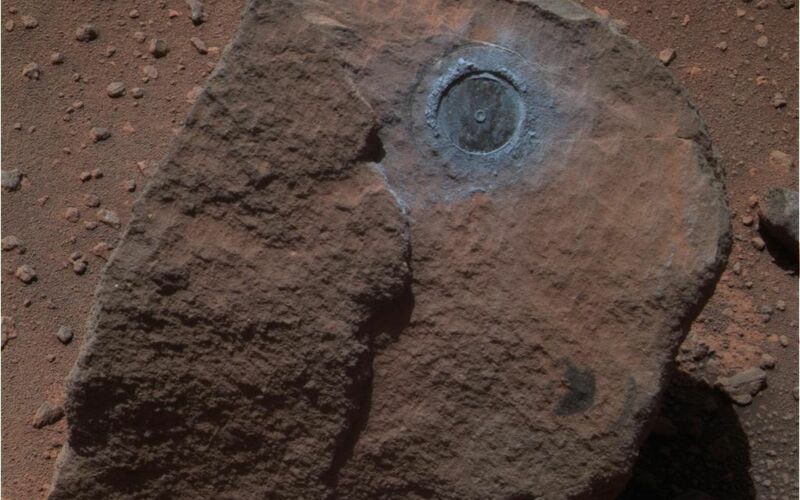 A crater-digging impact could have excavated the rock and thrown it a long distance, to where Opportunity found it along the rover's long trek across the Meridiani plain toward Endeavour Crater. This approximately true-color view of Marquette Island comes from combining three exposures that Opportunity's panoramic camera (Pancam) took through different filters during the rover's 2,117th Martian day, or sol, on Mars (Jan. 6, 2010). 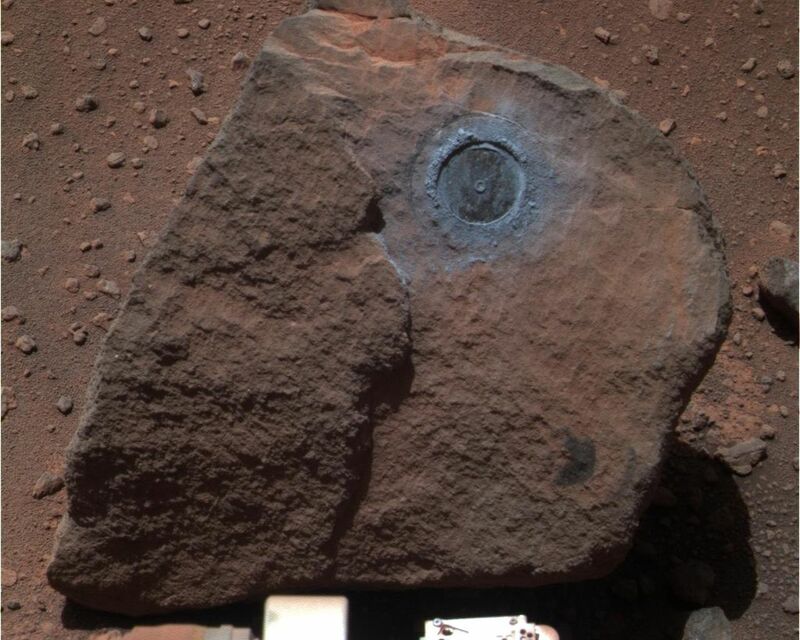 On the preceding sol, Opportunity's rock abrasion tool brushed dust out of the circular area where that tool had ground into the rock on sols 2100 and 2103 (Dec. 20 and 23, 2009). 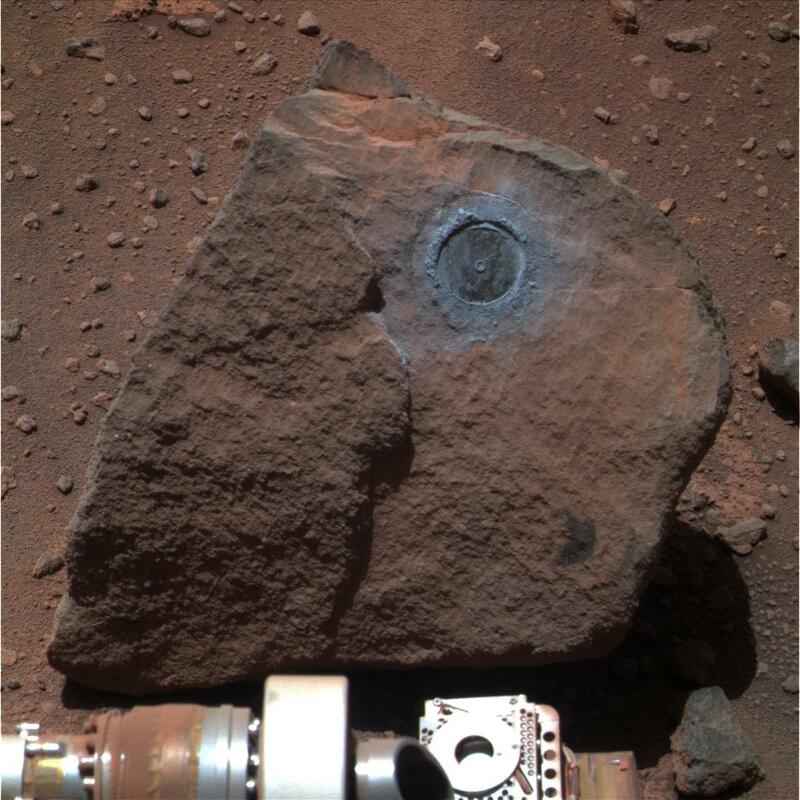 The dark circle left by the rock abrasion tool's work is approximately 5 centimeters (2 inches) in diameter.